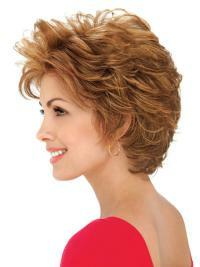 This is a choppy and chic short wig with lots of styling options. The fringe has been expertly textured to create a wispy and realistic frame to your eyes. This then blends into the flattering side layers. They can be styled towards your cheekbones, or behind your ears for a sleeker look. The choice is yours. The wig has a ‘Monofilament Crown’. 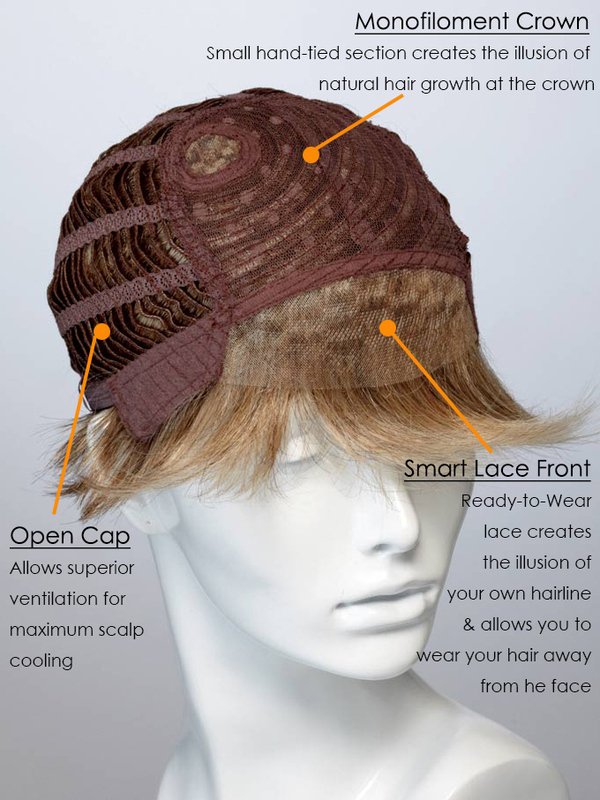 This additional feature is perfect in creating a truly realistic finish to your wig. 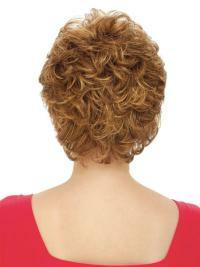 This monofilament area gives the impression that the hair is coming from your own scalp. I am very satisfiedGreat store - I got to talk to a licensed cosmetologists who helped me select the right style I was looking for. I was really impressed with the friendly staff. They had hundreds of selections to choose from and all the price ranges I was looking for. I Will Purchase In The FutureNice wigs very comfortable to wear and easy to take care of.And I think I'm much prettier in it than your model.Happy purchase I will buy from here again! wonderfulWig received in good condition. Purchased the wig in black. It is gorgeous! Only received compliments. Thanks! a perfect wig for meI just bought a refresher one while I recondition this one. I would recommend this product to anyone who love wig. a very cute wigThis is a very cute wig!! You can style it several different ways, and it always looks fresh and cute. It has a lot more hair in it then it looks in the picture. I bought it in vanilla bean colour, which is a bit darker than I usually wear but everyone loves it on me as much as I do.